Have you had to deal with back pain this year? Here's something that will make your 2019 better. 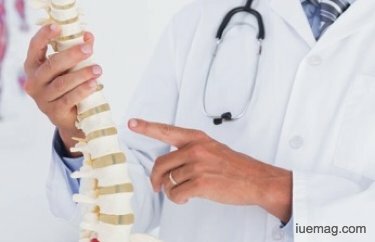 2018 might have been a painful year, especially if you are one of the unfortunate many to suffer from back pain, whether infrequent or chronic. But just because 2018 was painful, it doesn’t mean 2019 has to be as well. New Year’s Resolutions can be a powerful way for you to be proactive about your back pain next year, but in order for the resolution to be effective, you need to be specific. Targeting “back pain” in general can be nebulous and therefore ineffective. You need to target the causes of back pain, and resolve yourself to seek research-based solutions. Many of the common New Year’s Resolutions, focused around self-betterment – like losing weight, quitting smoking and being more active – all apply here, as back pain relief is inextricably tied with overall health. In order for you to kick back pain this coming year, you should set small goals. This article will list three such small goals that can greatly contribute to back pain relief. Staying static in a single position, whatever that position may be, is never good for the spine. As with life, variety is the spice of back pain relief. Set a timer at your desk at work, or at home, to go off every 15 minutes; when you hear the timer, get up and take a quick walk around. Get a glass of water, chat with a colleague, do a couple dishes or just take a minute to reflect on your resolutions. If you have chronic or even occasional back pain, 2019 is the year you should start seeing a chiropractor. Not only do chiropractors offer relief in the form of chiropractic adjustments, but they can also act as a guide of sorts on your journey toward pain relief, offering up stretches, exercises, postural tips and more. When looking for the right chiropractor, reviews do matter – take Transform Chiropractic for example, out of Toronto, who lists many different patient testimonials on their site. It’s this kind of patient-first, community-oriented approach that you want. Smoking, diet, water consumption and exercise – those four habits can have a profound effect on back pain. Suffice it to say, even with back pain out of the picture, it’s a great idea to quit smoking, but few people know that lighting up is linked to back pain. Diet and exercise also play an important role: weight reduction can alleviate the spine of painful stress. There is such a thing as “sleep posture” – as you might have guessed, it is the position in which you sleep. Unhealthy sleep postures (belly down, or on your back with a twisted torso, as two common examples) can contribute to back pain. Ask your chiropractor about healthy sleep posture, and make a concerted effort to change the way you get to sleep. A new year is a great excuse to improve yourself. If you suffer from back pain, try these four small resolutions, and work your way up to that big resolution: ending back pain for good. Any facts, figures or references stated here are made by the author & don't reflect the endorsement of iU at all times unless otherwise drafted by official staff at iU. This article was first published here on 27th November 2018.